At OPAL Translations, we believe that the best translators are those done by humans. There are just many nuances in a language that needs consideration and understanding that a machine simply cannot do. Whether you need a translation from Dari to English or English to Dari, we have translators who are fluent in both the English and Dari vocabulary. Each of our translators can translate a document in any field such as medical, technical, business, financial, legal, etc. Send us a copy of your document via the translation form on this page, and we will send you a translation quote in just 15 minutes. We specialise in translation of business, general, government, legal, technical, financial and other areas. Upon receiving your order, we match it to the most qualified translator who is familiar with your content and has the skills and qualifications to produce an accurate translation that is the same or even better than the source document. With over 7 years in the language industry, OPAL Translations delivers top quality Dari translation services at competitive rates with a fast turnaround and backed by NAATI accreditation. With a combination of NAATI accredited Dari translators, highly skilled project managers and dedicated customer service representatives, we are capable of serving our clients within a specified timeline and a high-quality translation, with a smile and confidence. OPAL Translations provides fast, accurate and affordable translation for several industries and deliver outstanding translated content into both the Dari and English language. Receive and order your translation online. There’s no need to come to our office. We understand how busy our clients are so we designed online Dari translation services for everyone to avail anytime and anywhere. How fast? We offer Urgent Dari translation services if you need your document sooner. With our urgent option, you can receive your translation in less than 24 hours. We provide Dari translation services at a competitive rate starting at AU $69 per document. As each document is unique from one another, our pricing varies depending on the document’s subject matter, deadline and language. OPAL Translations offers affordable rates and meets every strict deadline. To get a sneak peek on our services, place a translation order now. Using our free quote form, we can provide you with a FREE detailed estimate in just 15 minutes. Simply, complete the translation quote form located on this page. Upload a copy of the document you want to be translated and send using the ‘Submit’ button. We will email you with a free quote form in 15 minutes! How great is that? Dari is a language mostly spoken in Afghanistan. 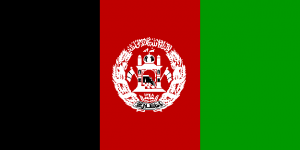 It is sometimes called as Afghan Persian. 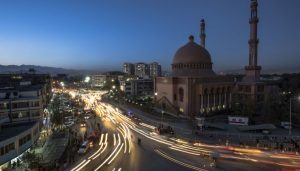 More than 5 million people speak Dari in Afghanistan alone. It is the official language of the country. The Dari language is considered as a dialect of the Persian and Farsi language. In addition, Dari is a dialect of Farsi used in Afghanistan. The Arabic language has a heavy influence on the development of the Dari language. As a result, most of the loanwords of the language are derived from Arabic or Farsi. The language’s written form is a modified Arabic alphabet.